I know how you must feel when it’s time to pull out the math books and dig in with your kids. What a struggle it must be to not only help them with their work, but to also encourage them to work hard and do their best when really, it’s something you hate. Maybe it seems pointless to you. Maybe you don’t understand the way it’s being taught. Maybe it’s even harder for you to feel motivated to get it done than it is for your kids. 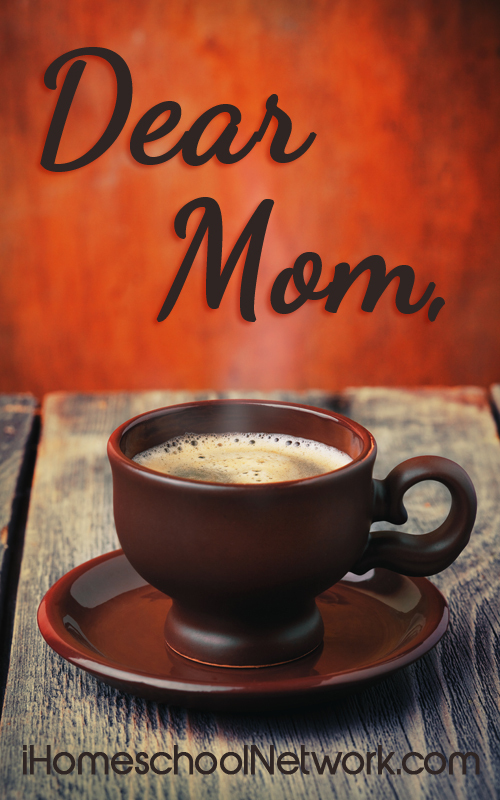 As moms, we want what’s best for our kids, and we want them to do their best in all areas of life. And while I know there are more important things in life than straight A’s, I want my kids to love learning and always want to do their best! But sometimes, it can be so hard to teach them a subject that we hate or are unmotivated to teach. 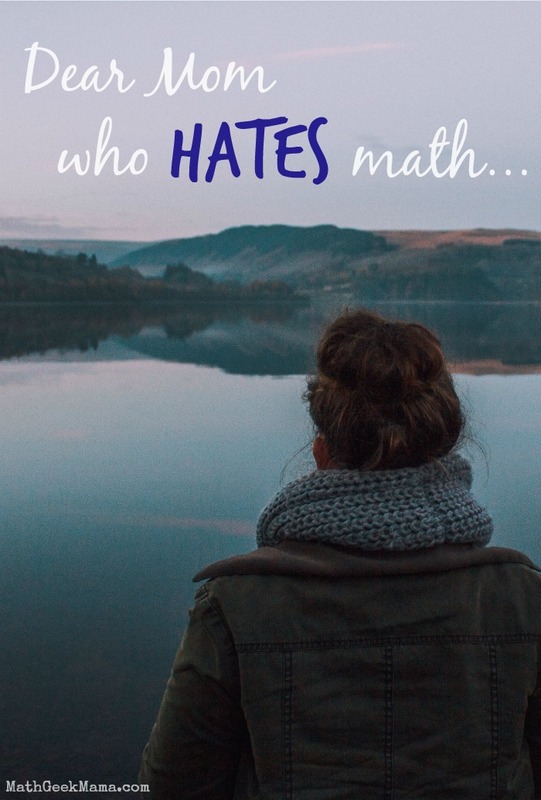 So today, I hope to offer encouragement to moms who hate math, and hopefully help you find ways to not hate it as much (or at the very least, tolerate it easier when you’re teaching your kids)! The first thing I want you to know is that it’s ok that you don’t like math. It’s ok that you don’t get excited about word problems, or bubble over when you and your kids get to use math in real life. Just because everyone is capable and can learn math does not mean that everyone has to love it as much as I do. I don’t love writing poetry or analyzing the symbolism in classic literature. But maybe you could spend your entire day writing amazing and deeply profound poetry! We all have gifts and talents and passions, and acknowledge that while yours isn’t math, you can still be a great teacher to your kids. After you’ve acknowledged your true feelings, take some time to try and pinpoint what exactly it is about math that you so dislike. Is it because it’s hard? Is it because it seems meaningless or useless? Is it because you never had a good teacher? Whatever the reason, figuring out why you hate it will allow you to see if there’s anything you can do to change how you feel. If it is because of a past teacher or a particular method of instruction, maybe it’s not necessarily that you hate math at all, but rather, the way it was taught! Perhaps you just need to find ways to make it fun and engaging. If it’s because you think it’s hard, maybe you can study different methods and find ways to increase your confidence! If you figure out the real reason behind your struggle with math, you might realize that it’s not actually the math at all that you hate, making your ability to teach and help your child much easier and more fun! Once you determine the root of your disdain, you may find that you still hate math. Unfortunately, the truth is you still have to teach math to your kids, whether you homeschool or help with homework after school. So try to find the positives in math and the reasons that math instruction is adding value to your child’s life and education. Reminding yourself of these things will get you through those tough days when it all seems like a pointless and frustrating waste of time. So why is math a valuable part of your child’s education? For one, it will help them learn to be problem solvers. It will also help them to build logic and reasoning skills (which will improve their writing!). It is also valuable in everyday life (even though many would disagree). We use math in cooking, shopping, measuring, budgeting and more. So whatever the reasons are for you, make a list and remind yourself of them often. While I may not like or feel confident writing poetry, there are certainly things about poetry that I can enjoy and appreciate, which can make learning poetry less of a chore. So do some searching and find things about math that you can enjoy and get excited about. There are many, many different branches of mathematics, so while you may not enjoy long and tedious computations, maybe you love patterns and number puzzles. Or maybe you like geometry and exploring the patterns in different geometrical shapes. Or maybe you really love and appreciate the math you use in your everyday life, such as cooking conversions or handling money and budgets. Maybe you love statistics and probability. Finding something that you do love (or at least like) will help you as you seek to teach your kids and instill a love of learning in them. If after all your studying and soul-searching you still hate math and can’t find any redeemable qualities, choose to see it as an opportunity to grow and be challenged. As a mom, we all want our kids to love learning and to never stop learning. The best way we can encourage curiosity and an excitement to learn and grow is to model it for them. Maybe you don’t like math, but you can still use what you’re teaching your kids to learn something new yourself! Exploring a concept in greater depth and teaching it to your kids is a great way to expand your knowledge and exercise your brain muscles. Being challenged is a good thing, and will help you form connections in your brain to other bits of knowledge stored there! If helping your kids with math is a struggle, I hope you found this encouragement helpful. And if you’re looking for help to better engage your kids in math learning and want to better understand how to teach math concepts, subscribe to my free e-mail newsletter! I share tips and learning strategies, fun games and free teaching materials so that you can make math fun and engaging! Math has always been one of my most disliked subjects and always struggled with it, though I did pass it in the end. I now find it very difficult to help my son with his math homework as I can’t remember how to do any of it, so still struggle. I do realise though the importance of learning math, so we tend to work through it together. Thank you so much for sharing Rebecca! I really appreciate you reaching out and sharing your struggles, because I know you’re not alone! I think it’s definitely ok (and good!) to be honest and tell your kids that you don’t get it! I think making it seem like it’s easy and they should get it right away will hurt their confidence and increase their anxiety. But knowing that you don’t understand either (but that you’re willing to work together to figure it out!) is great, and a positive example. I would encourage you to not stop there though (i.e. “you don’t get it and neither do I, oh well!”), but rather do some research together and try to figure it out (try looking for a video on youtube or Khan Academy). Or meet with their teacher one on one (you could even go together) and try and get things explained. Seeking to find the value in it is such a great point. Too often, we brush off something we don’t like (such as math) simply because it’s hard and we tell ourselves there isn’t any value in it. This kind of approach could honestly help with any necessity we struggle with in life. I also love the reminder to see it as an opportunity to grow. Sometimes all it takes is a different perspective to help turn around a not-so-fun situation.